Freeze three balls along the left side rail. The 1 ball is flush with the tip of the side pocket and the 9 ball on the end. Place the cueball near the foot spot in line with diamond no. 6 and the tip of the side rail. (see diagram). 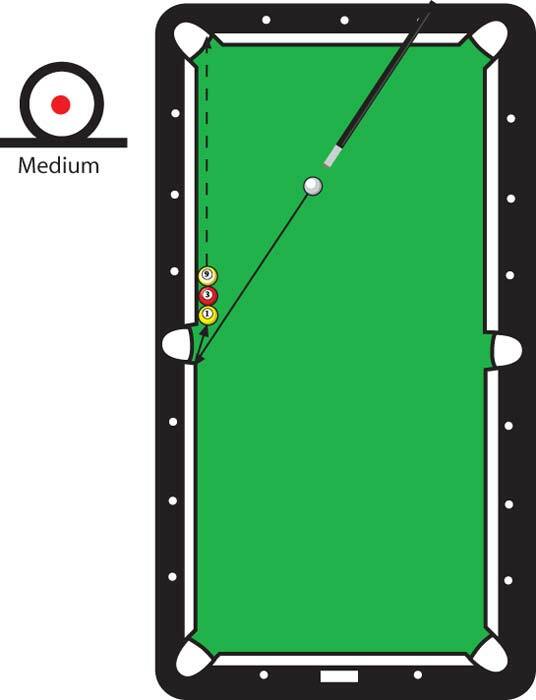 Before you get down to aim at the shot, (this would give the trick away) say that you are going to play the 9 ball in the left corner pocket without hitting the head rail or scratching. Shoot the cue ball just inside the tip of the pocket with a medium stroke and you will pocket the 9 ball.